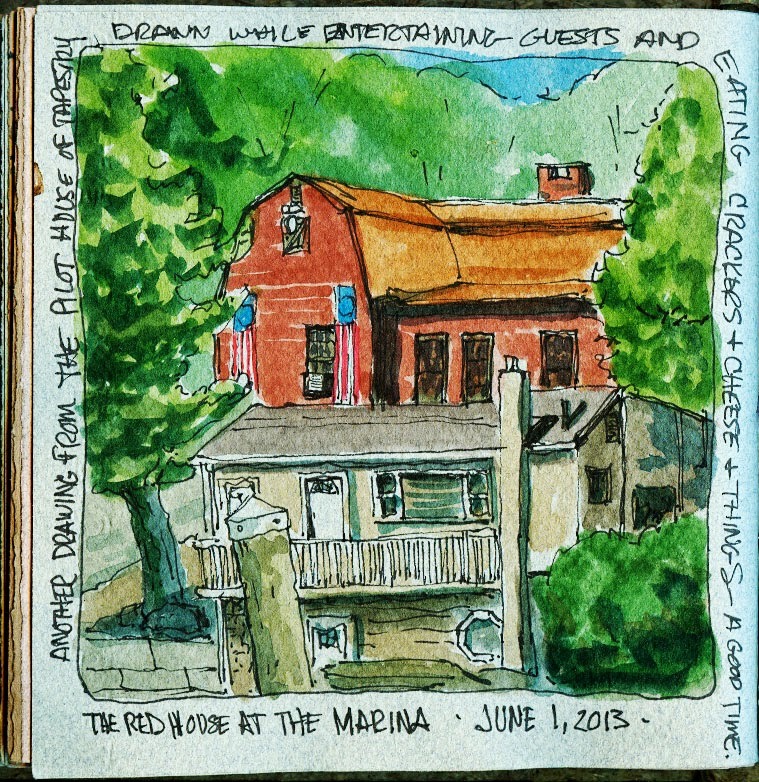 We spent the weekend on the boat and I got a couple of chances to sketch. Today I walked into Pawuxet village and sketched the scenes above. 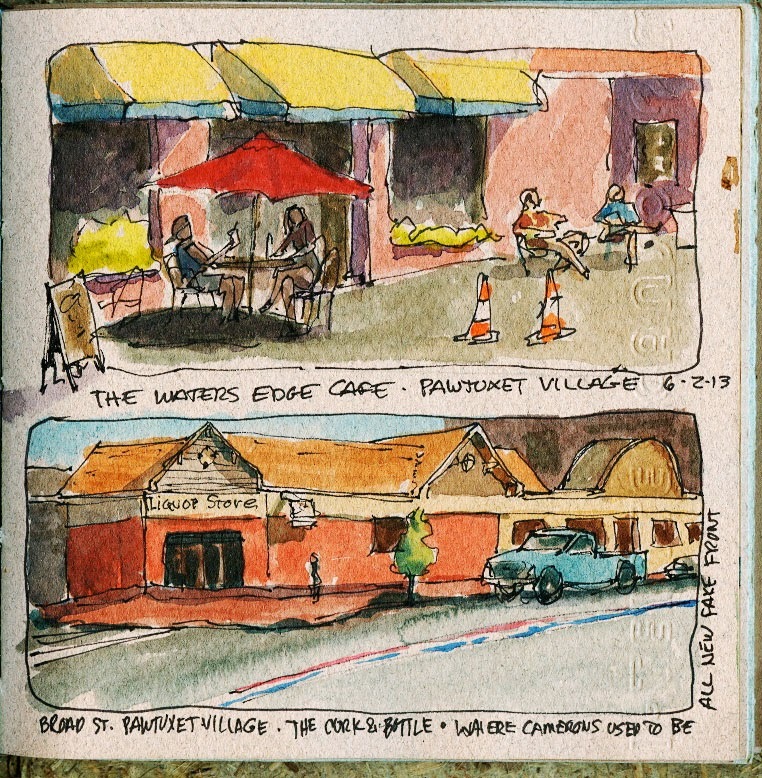 The top sketch is "The Water's Edge" a great little cafe and a good place for coffee and muffins. . . In the sketch below you can see the new facade that they are putting on the old Cameron's Drug Store, now the 'Cork & Bottle" -- it's like a fake storefront of no particular style, certainly has none of the character of the rest of the village. 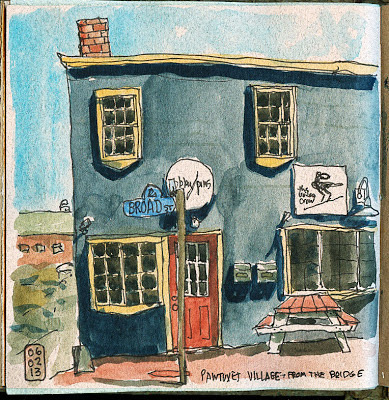 Below is another sketch in the village of a great old building which houses 'Bobby Pins' (a hair stylist I think) and "The Veiled Crow' which I am not sure just what the actually sell. I have looked in the window and there seems to be a lot of soaps and cremes - I doubt I will ever go in. 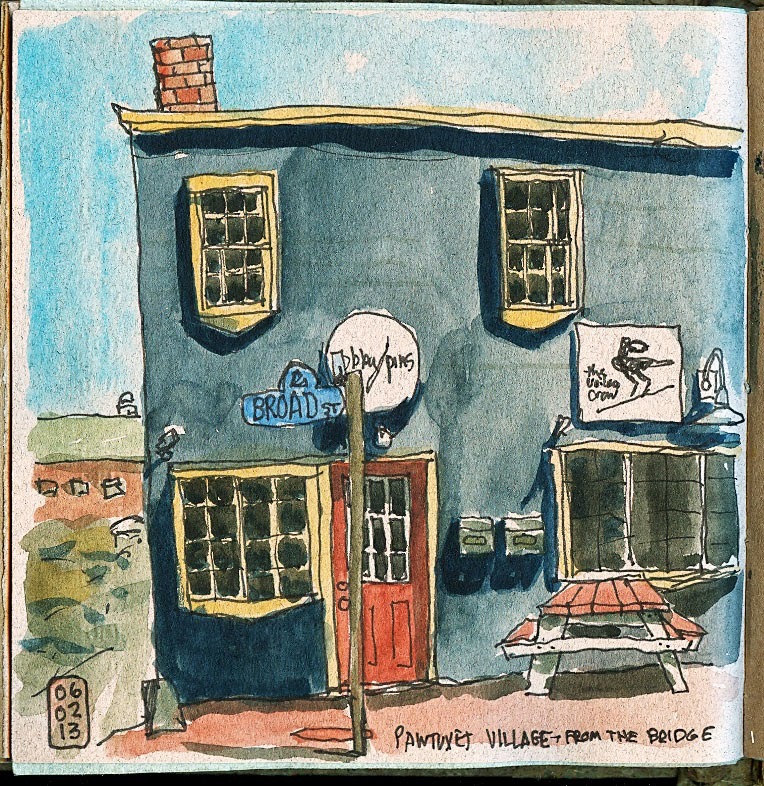 This blue building also houses a barber shop and a Thai restaurant and an ice cream shop...mmmmmmm. I also spent some time on the boat sketching. 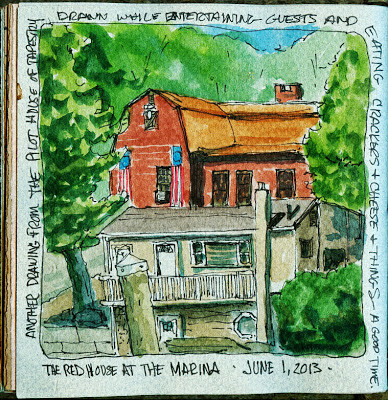 The picture below is a great old house which the decorated for next week's Gaspee Days - Next Saturday is the parade.I drew this from the pilot house of Tapestry sitting at the table while chatting with company. 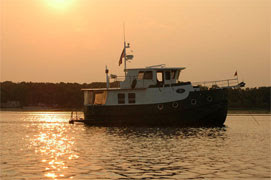 It seems like we always get a boat load when ever we are at the dock. We had a great time Saturday night with friends. Today I also sketched the helm station of the pilot house aboard Tapestry. There is a lot wrong with this one. .. but I had a good time trying to fit it all in. THis is definitely not art, just some scribbling to keep me occupied. . .